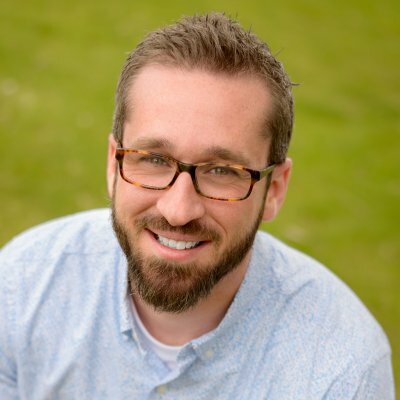 Jonathan leads our church in passionate worship, directs our college ministry and coordinates shepherding care. He has over 12 years of experience as a pastor for worship and college ministry. Before sensing God’s call to serve here in Salt Lake City, Jonathan served in various capacities at Brookside Baptist Church in Milwaukee, WI. During that time, God prepared Jonathan with the skills and gifts to lead us in shepherding, worship and college ministry. His relational drive deepens and strengthens connections among the members of Gospel Grace. He is also a gifted musician and works bi-vocationally as a violin, piano, voice and guitar teacher in the city. Speaker: Jonathan Albright - Have you wondered with all the Christian, Christmas traditions we participate in each year, why it feels like we are just going through the motions? 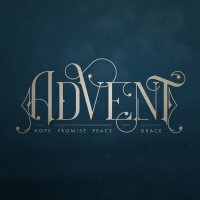 How many of us can quote large portions, if not the entirety of Luke 2. We can join others in singing rich Christmas songs about Jesus’ birth, but yet our hearts can remain unmoved, our affections for God remain unstirred. Artificial happiness replaces the deep joy that should rise from the depths of our souls when we consider the glory and wonder of the incarnation. Has that troubled you? Does the flatline during festivities bother you? Why is this? As we open up Psalm 103 we are going to find a simple but profound answer to this question. Speaker: Jonathan Albright - The highlight of our week at Gospel Grace Church is gathering together to worship God. It is the time when our pursuit of God through the week culminates in an overflow in which we sing together, expressing our praise to God, and confessing our faith with God's people both past and present such that believers are edified, and unbelievers are exposed to the life-changing power of the gospel. Our corporate worship service also includes the public reading of Scripture, prayer, confession of sin, and climaxes with the exposition of Scripture with clear application to our lives. What is the Function of the Sunday Worship Gathering? 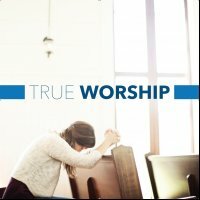 How Do I Know if My Worship is True or False? Speaker: Jonathan Albright - Everyone has felt the pain of misplaced criticism. Although we may know the defeat and discouragement of being the target of destructive speech, it stands to reason that we have also caused the pain of judging others. All through the pages of Scripture the sin of slander and judgmentalism are described as marks of the wicked expressions of a proud heart, and in these two verses James is going to surface the sin of slander and judgmentalism in the church and expose why it is so serious. Speaker: Jonathan Albright - We live in a world that defines our ultimate value in the positions that we hold, the influence we have, and the wealth we possess. Consequently, our outlook and reactions to our trials can be significantly swayed by where we find ourselves on the economic scale. People who perceive themselves as lacking material possessions jealously desire to acquire riches in order to eliminate the struggles of life, whereas the wealthy seem to live in safety and security by insulating themselves from financial hardship. There probably is not an area of our lives that is more connected to the trials we face than the financial position we find ourselves in. In light of this reality James is going give us an example of wisdom applied in the passage this morning, and he is going to deal with this matter of wealth directly by giving instruction that levels both the rich and the poor and calls them to evaluate their position by spiritual rather than material standards. 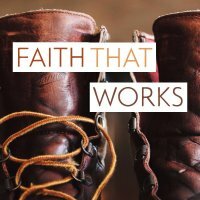 Speaker: Jonathan Albright - We live in a day when it seems that you can find a worship service that meets the expectations of almost anyone, no matter what those expectations are. Should the service include a large choir, no choir, worship band? Is the format to reflect strict formal liturgy that is highly structured, or free flowing and spontaneous? Does the music have to represent a particular style? - loud music, soft music, mainly singing worship choruses, or should it mainly be hymns? Such considerations surface an important question. What are the characteristics of healthy church worship? Our text this morning provides us with an illuminating glimpse into the Apostle Paul’s understanding of the corporate worship of the early church and highlights for us three characteristics by which we should measure the health of our church worship. Speaker: Jonathan Albright - Continuous access and warm intimacy with God is sometimes difficult to maintain. Times of spiritual dryness, "busyness" and adversity may capture our attention and rob us of regular meeting times with God. Psalm 84 reflects a time of spiritual dryness common to many believers experientially and to Israel historically. This psalmist laments his forced and prolonged separation from God (likely during the Babylonian exile), which has robbed him of the appointed duties, freedom of access and the warm intimacy he once enjoyed. In this Psalm, we trace his spiritual journey back to a place where he once again yearns to worship with God’s people, depend on God’s strength and trust in God’s provision. May the Lord help us to examine and orient our hearts toward him this morning.